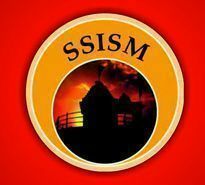 society, leading toward the socio-economic transformation of rural India"
Sant Singaji Educational Society (SSES) was established in 2010, with a view to create social and economic transformation in one of the most backward areas of the country, viz. Gondwana area of Madhya Pradesh. It runs a college – Sant Singaji Institute of Science and Management in Sandalpur village, Dewas District, Madhya Pradesh. This educational institute caters to the college going youth of three rural districts of Madhya Pradesh and educates around 1000 students annually. Approximately 7,000 – 8,000 youth drop out after 12th in Sandalpur, Madhya Pradesh. Access to education beyond higher secondary schooling is a mere 10 % among the University-age population in India. Moreover, just 2 % of the rural population is educated beyond higher secondary level. There is a tremendous lack of good quality institutes and teachers who are willing to work in rural areas. The social atmosphere is also such that there are no role models for youth. Because of these factors, the youth remains unemployed and directionless. Students from SSISM are now placed in top companies like HSBC, SAP Labs, Wipro, Infosys, Cognizant, TCS, Flipkart etc. Students have also gone for higher studies in institutes like Azim Premji University, Banasthali Vidyapeeth etc. Many students are working in local industries, schools and colleges. In the year 2018, we induced two scholarships Singaji Nivedita Scholarship and Singaji Vivekananda Scholarship for girls and boys. We received 1200 applications for the same, afer a rigorous selection process including written exams, personal interviews and home visits we shortlisted 300 students. 200 girls and 100 boys. With the help of your contribu􀀨on, we got successful in providing free education to these 300 students in the academic session 2018-19. With a view to reach more and more students in need, we conducted SNS and SVS Singaji again for the upcoming academic session 2019-20 on 12th and 13th of January. This year we got 1800 student applications and will select 300 new students. In this way we have a total of 600 students in year 2019 who will be getting education.